Nu Image Aesthetics & Wellness Institute is an aesthetic med spa that’s based in Elgin, Illinois and also serves Sycamore, South Barrington, and other surrounding communities. The team here is regarded by many of their patients as some of the leading clinical skincare specialists in the area. 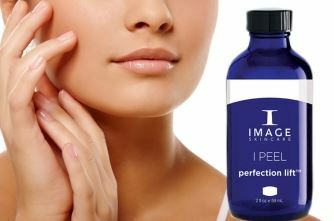 Image Skincare and NEOCUTIS to keep your skin looking beautiful, radiant and youthful. With only the purest ingredients these cruelty- and paraben-free products contain the highest levels of antioxidants, stem cells, and broad spectrum UVA/UVB protection while offering something for every skin type and tone. Chemical exfoliation refers to aesthetic procedures that improve the skin’s appearance. During chemical exfoliation, chemicals are applied to the skin. These chemicals make the outermost, oldest layers of skin slough off. The younger skin underneath is left. This younger skin is usually less wrinkled than the older skin that was exfoliated. What Aesthetic Conditions Can Chemical Exfoliation Treat? Chemical exfoliation is usually done on the face, neck, and hands. On the face, it can help reduce fine lines near the eyes and mouth. On both the face and neck, it can reduce the effects of certain forms of acne and treat wrinkles caused by sun damage and aging. On the face, neck, and hands, chemical exfoliation can improve the appearance of mild scars, reduce age spots, and minimize freckling. They also can help lessen melasma, which is the appearance of dark spots that result from taking birth control pills or pregnancy.